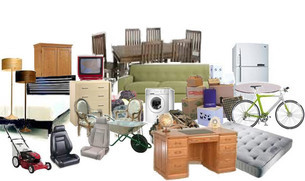 At Phoenix Junk Hauling, we focus on junk removal, including metal recycling. Our team has served the Phoenix, AZ area for over 10 years, and we want to help keep your property as clean as possible. Most people are not up-to-date on how their metal scraps can be recycled. This is why you need a business of devoted individuals to help keep you in the loop for when it is time to recycle any metal you may have. Taking the necessary measures to recycle your metal not only keep your property nice looking, it helps in keeping the environment clean as well. We take pride in our quality service and complete, total satisfaction. Our professional crew possesses the knowledge and experience to take care of all of your metal recycling needs. We have a highly trained team that is always up-to-date on all the latest techniques and equipped with the most advanced tools to handle all your recycling requests. We assist you with everything, from pickup to transportation. Our team is more than happy to assist you in turning your residential or small commercial property into a place you will be proud of. You can count on us to provide first-class work at reasonable prices. We go the extra mile to make sure that your metal recycling project gets the attention and time it deserves. When it is time to remove metal, Phoenix Junk Hauling is staffed, equipped, and trained with a safety sense and care of existing landscaping. Customers are often astonished with the attention to detail and safety we deliver by not harming the landscaping and property. As the premium business for metal recycling in Phoenix, AZ, this is the special touch we provide. We remove metal of all types. We have performed jobs from removing metal from the smallest properties to big area lots. Our company was established in the Phoenix, AZ area with love and respect for recycling and a job well done. We take special pride in being attentive to the needs of our customers, and our staff possesses the eco-sensibilities needed to balance recycling with aesthetic and human safety. 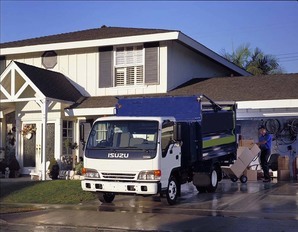 We are skilled and knowledgeable in the junk hauling industry. Our employees are experienced junk movers and are capable of help you keep your home or business cleaning of unnecessary appliances, furniture, or metal. ​If you want to get your outdoor area looking its best, ask Phoenix Junk Hauling.